The property accommodates up to 4 people and has been tastefully furnished over 2 floors, with a charming walled patio overlooking the South Downs. The AA 4 star rated property sleeps 4 and offers guests country cottage style living in oak beamed comfort and a lovely south facing garden to relax in. We’re in rural West Sussex, in the rolling South Downs National Park, on the edge of the village of West Marden, which is 8 miles from Chichester. 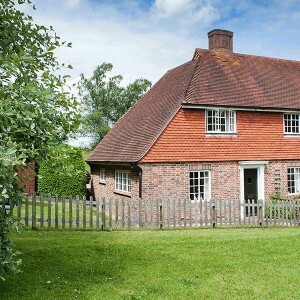 Both our well equipped cottages, Stable Annexe and Gardener’s Cottage, offer guests welcoming self catering holiday accommodation in the delightful village of West Marden, nestled in the South Downs national park on the West Sussex/Hampshire border. It is a truly peaceful and rural location, enjoying panoramic views of the rolling downland yet is close to all the attractions of Chichester and Portsmouth, and an easy train ride to London. There is a huge network of footpaths and bridleways running from the properties, and the area abounds with wildlife. We regularly see deer, foxes, badgers and buzzards from the garden, and you might just meet the village peacocks. The Victoria Inn, our village pub, serves a selection of beers and excellent food (we can vouch for this!) and is only a 3 minute walk down the hill (5 minutes back up!). A small shop and tea room, playground/tennis court, The Coach and Horses (Compton village pub) and church can be found in Compton, less than a mile up the road. Some summer holiday dates for August still available – make the most of the beautiful weather and book a last minute staycation! Great value, we’d rather have them full with well earned breaks!! 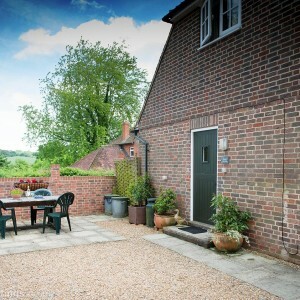 15th to 19th August for a short break in Gardener’s Cottage anyone? 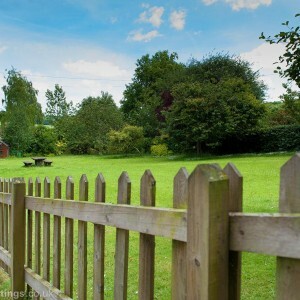 For availability at Marden Down Holiday Cottages please call or email stay@mardendown.co.uk for details. For Bookings Call 02392 631 729 or Click Here To Email.